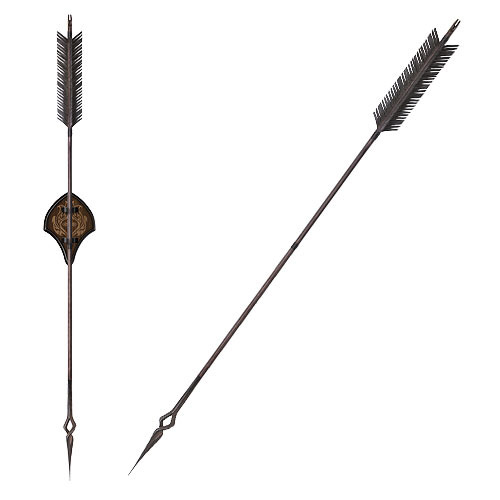 The Black Arrow from The Hobbit: The Desolation of Smaug was one of a small number forged by the Dwarves of Erebor, launched from a massive Dwarvish Windlance. The Hobbit Black Arrow of Bard the Bowman Prop Replica has a stainless steel arrow head, with a wooden shaft and hand tied fletching. Presented with a wood wall display with Dale motif, this replica includes a certificate of authenticity. Measures 7-foot 5/8-inches long. Ages 17 and up.